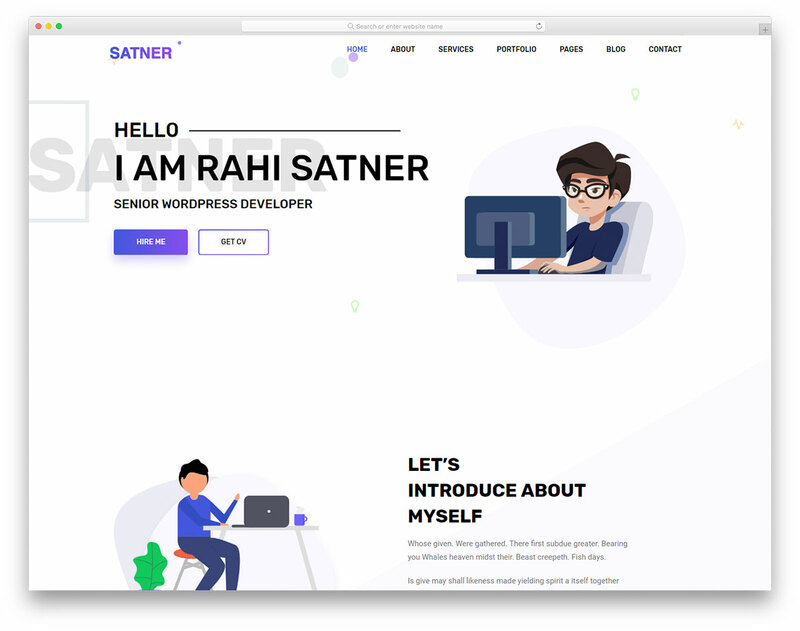 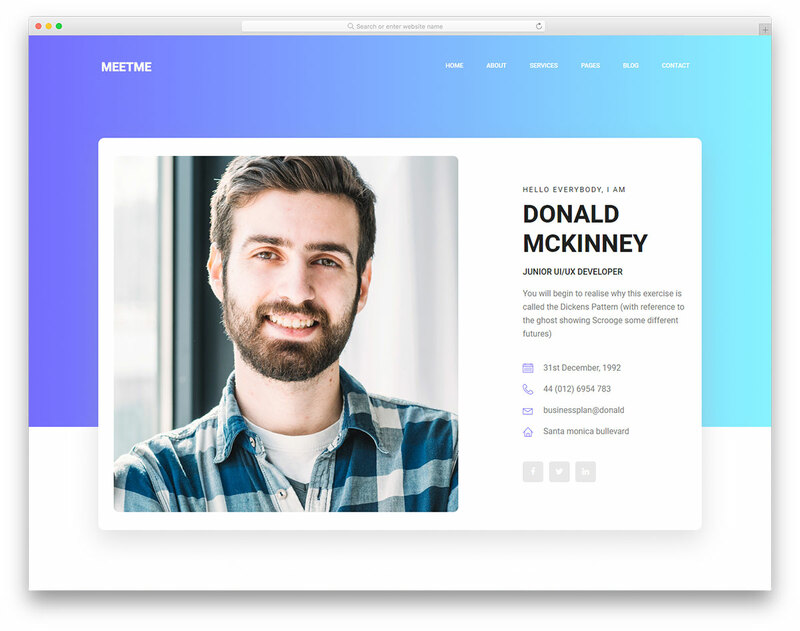 The best and most refined free resume website templates that help you stand out from the crowd and attract new clients and employers. 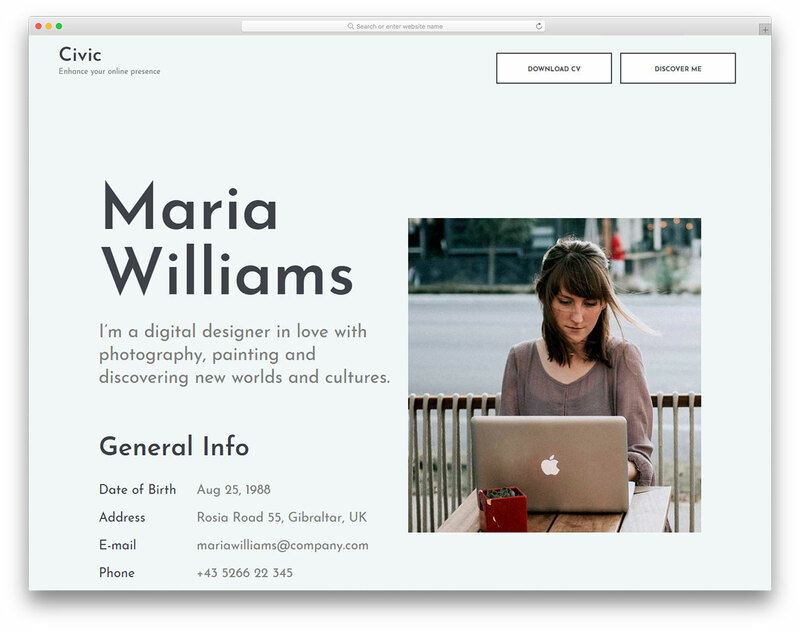 Whether you are a job seeker or a freelancer, these templates will come extremely handy. 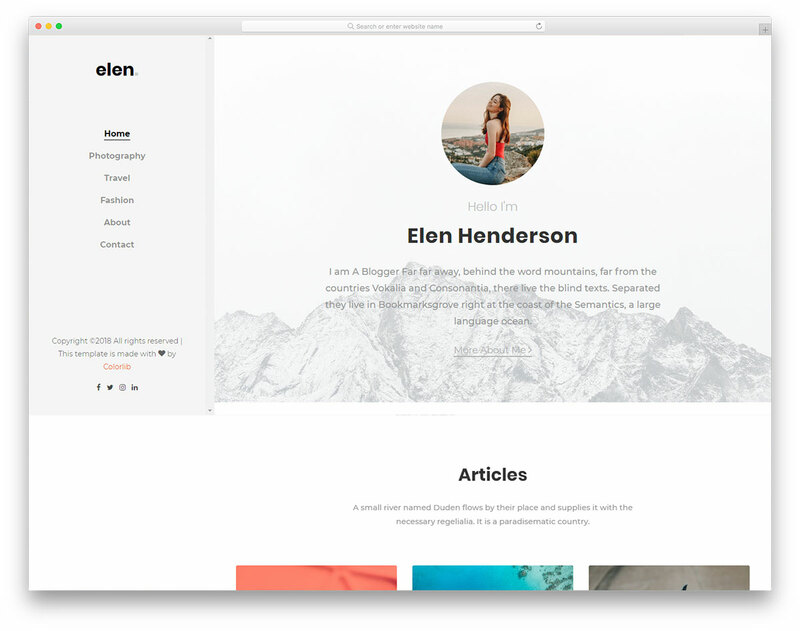 They have all the must-have sections for your education, skills, portfolio and even a blog. 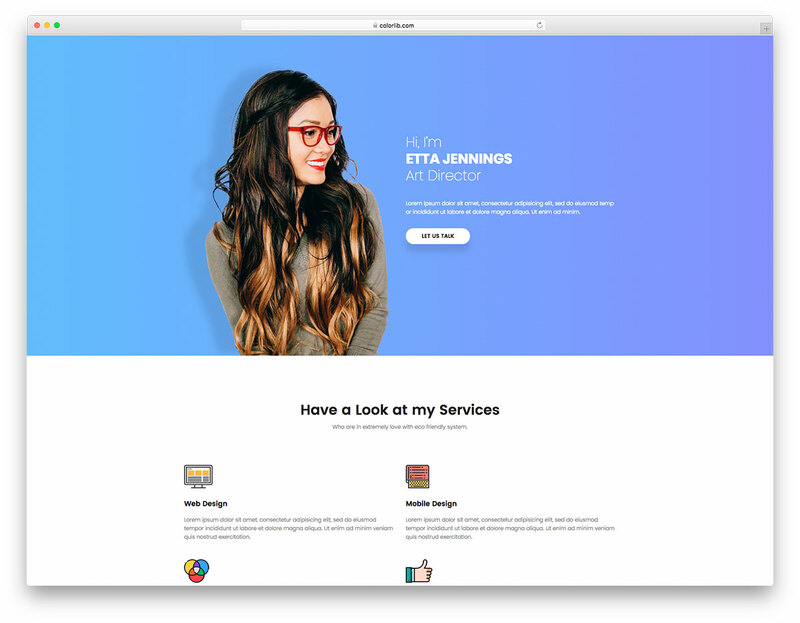 Every website canvas is fully responsive, powered by Bootstrap 4 and retina ready. 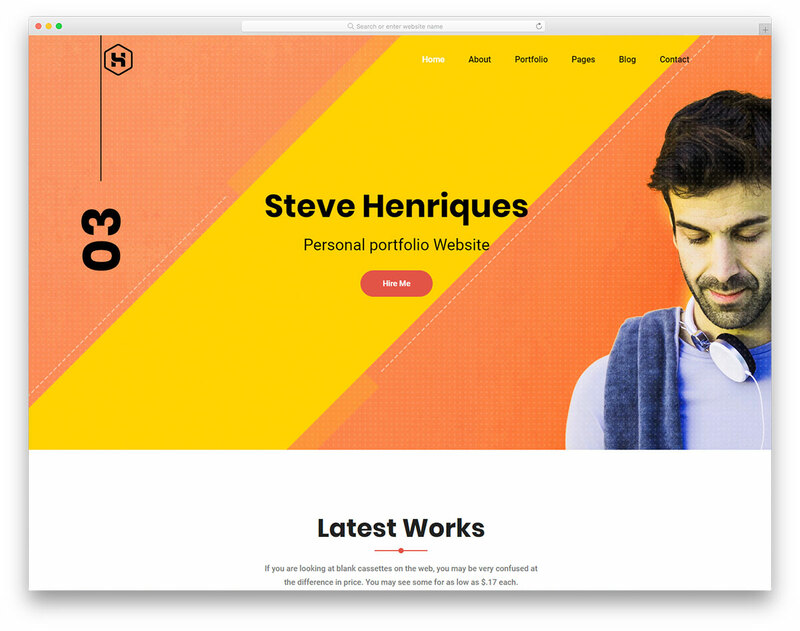 You are closer than ever to crafting an online resume, portfolio, CV and even a vCard and put yourself front and center. 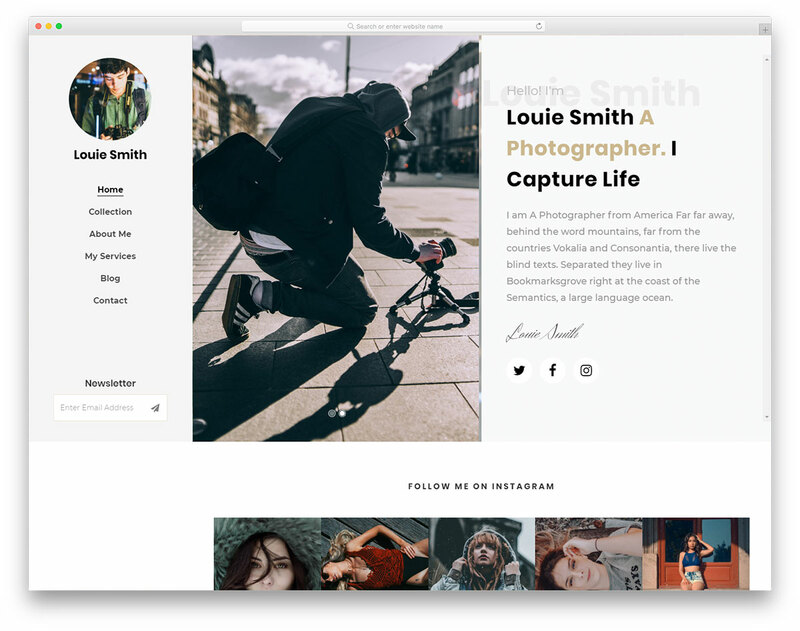 Every item you see in the collection below is simple to use and effortless to customize and make it follow your expertness to the T. Take action today, create a sophisticated web presence and boost your potential above and beyond. 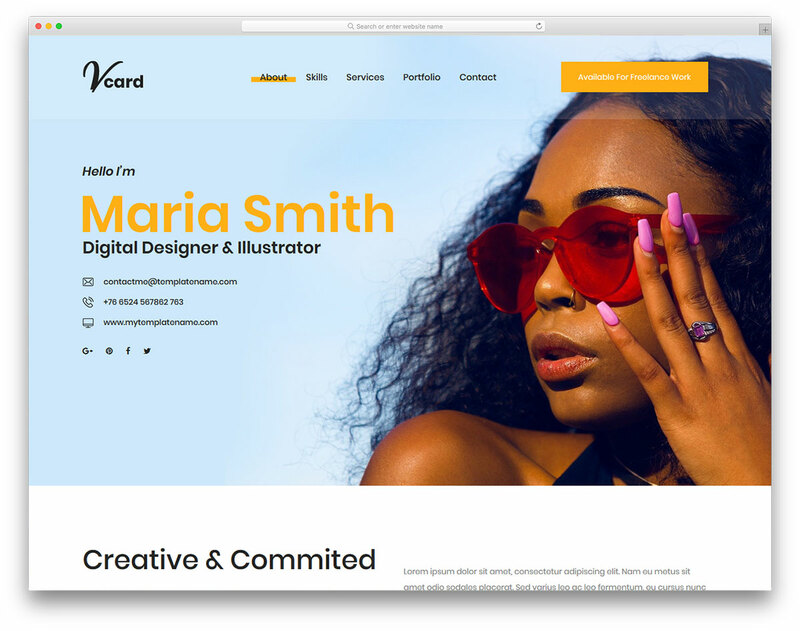 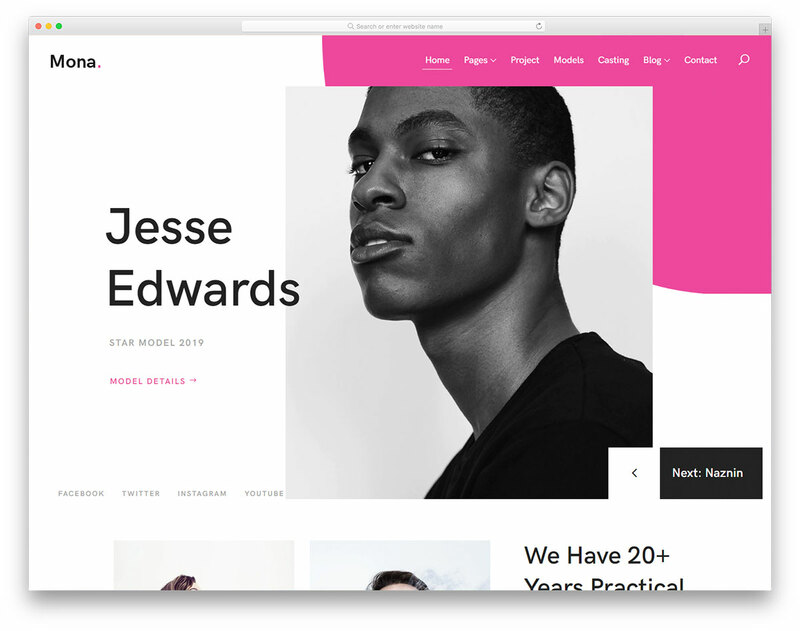 If you are looking for a tool to best represent you on the web, Vcard is the free responsive vCard website template that you need. 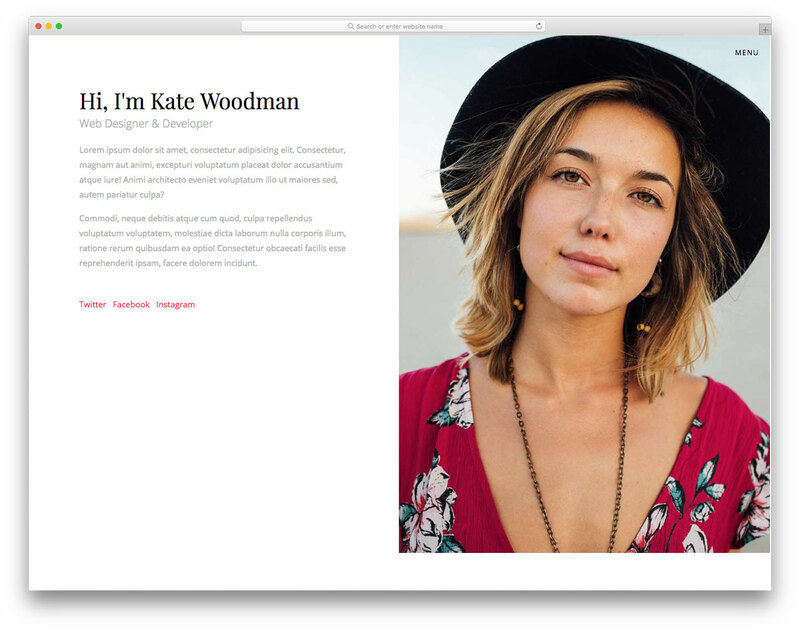 A professional masterpiece that works seamlessly across all devices and platforms. 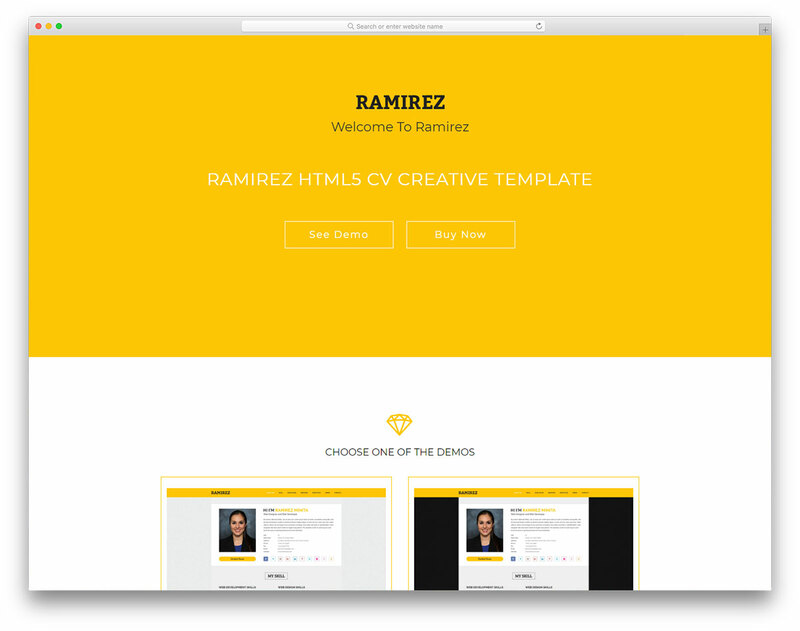 To stand out from the crowd, all you need is to build a page with Ramirez free resume website template. 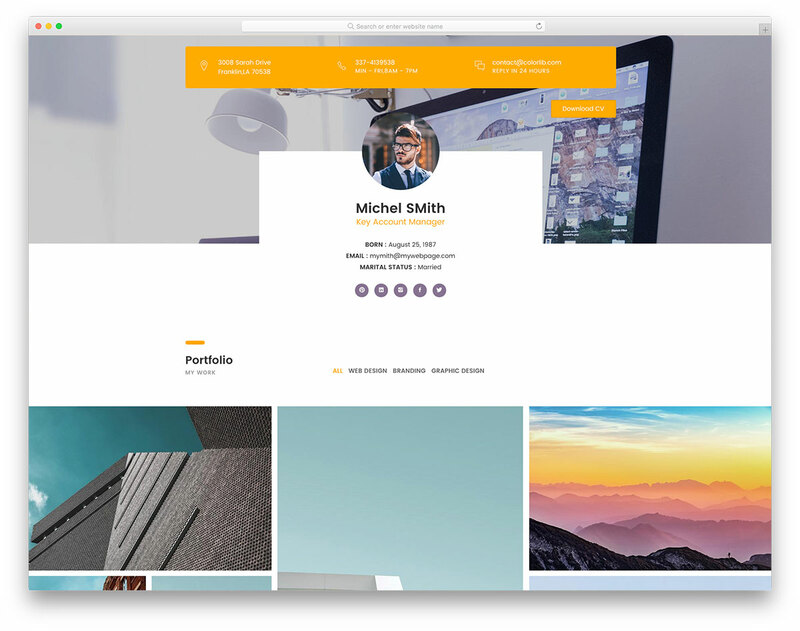 Instead of sending employers the traditional CV via email, just send them a link to your personal page and impress them straightaway.